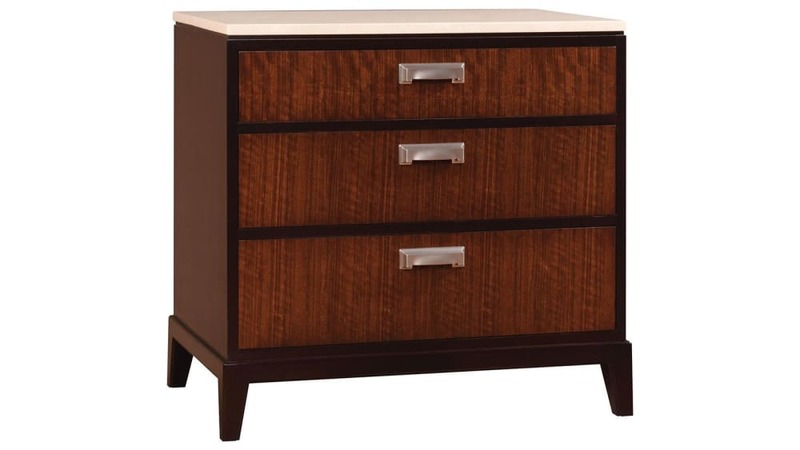 Beautiful and durable, the Stickley Uptown 3-Drawer Nightstand was built with a solid cherry wood case and drawer fronts with Mozambique veneers! Tapered legs with satin nickel ferrules will stand the test of time, as will the one-piece, cream marble top, and the satin nickel hardware. A velvet-lined top drawer is a perfect finishing touch and provides you with the elegance you deserve!